LatinaLista — Colombia has the dubious distinction of hosting the hemisphere’s longest running conflict. The Colombian government has been at war with Farc (Revolutionary Armed Forces of Colombia) rebels for more than 50 years. Since 2012, the two sides have been negotiating a peace treaty with each side recently trying to show good faith with such acts as Farc promising not to recruit children under 17 years of age and helping to demine several areas embedded with land mines. For their part, the Colombian government has promised to pardon 30 Farc guerillas who are currently imprisoned for non-major crimes. 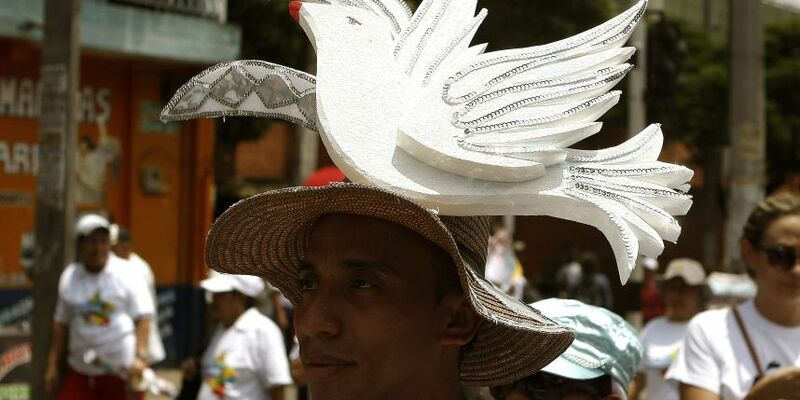 A peace accord was expected to be reached by both parties on March 23, 2016 but rumors signal that FARC may still not be ready by then, but that isn’t stopping the Colombian government from planning for it. Rebuilding the country is going to cost mucho dinero after more than 50 years of fighting and the Colombian government has created a special fund to meet those rebuilding needs. Dubbed the Colombia in Peace Fund, the fund will be overseen by a new Cabinet minister, Rafael Pardo, Minister of Post-Conflict. The fund is kind of like a super crowdfunder expected to be filled by foreign contributors who want to help Colombia put their bloody past behind them. “Some of the funds will be for the substitution of illicit crops [like coca], others to the construction of tertiary roads, others to the realization of agricultural production projects with an emphasis on one or another produce,” President Juan Manuel Santos said. The fund is estimated to eventually hold $3 billion for use over a five-year period. But after half a century of fighting, government officials feel it’s still only a fraction of the money needed to create a new future for their country.